After your wedding ceremony, that's when the real fun begins. 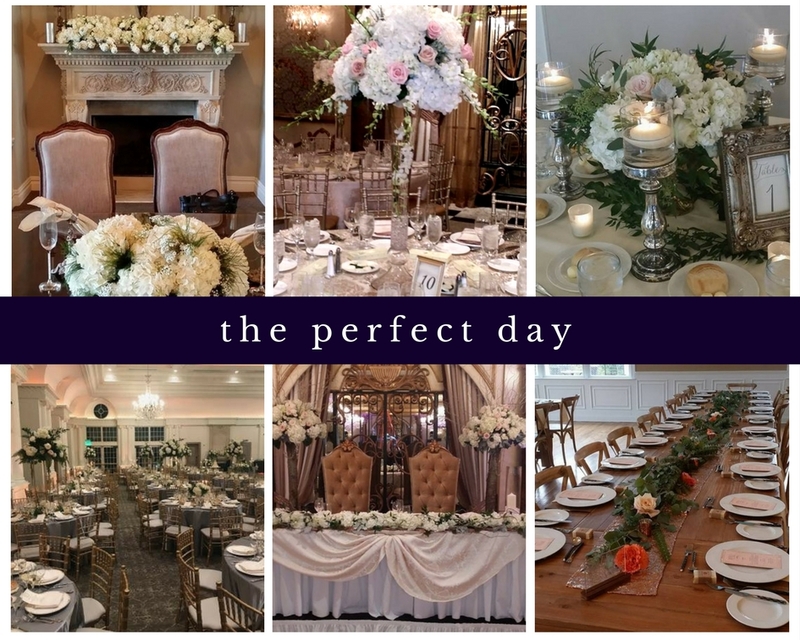 At Jude Anthony Florist, we're here to ensure every detail of your wedding reception is perfect. 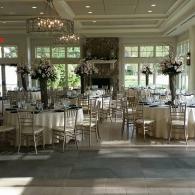 From extravagant centerpieces to lovely linens and chair covers, we have every thing a bride and groom needs for their special moment. We help you choose a combination of florals that speak to you and match your theme beautifully. If country chic is your style, we can accomplish that with simple centerpieces encased with lace or burlap amidst nature-inspired elements. For our princess brides, we can create the most exceptional florals displays complete with crystals and soft candle lighting. 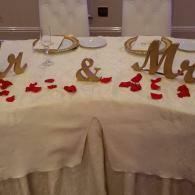 Let us use reception flowers to make the perfect statement. 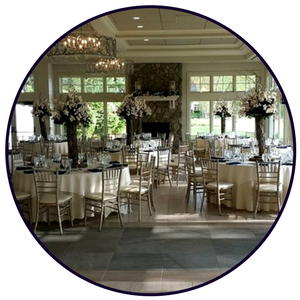 Jude Anthony Florist designs flowers with you in mind, and will work to make planning your reception flowers effortless. 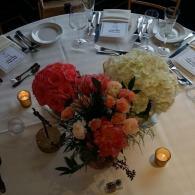 Our gallery shows some of our work as we've gone above and beyond to create amazing event flowers. 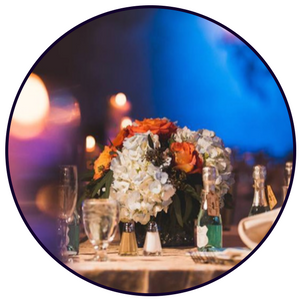 Floral centerpieces are the heart of any wedding reception so it's important to let a talented florist render arrangements you will cherish. 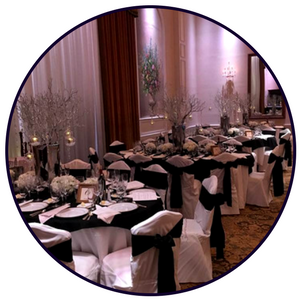 Chair covers can add sleek elegant to your party. Let us provide unique covers that will beautifully complement your space. 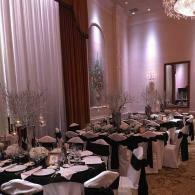 Linens are a key component to any wedding reception. They add a pristine elegance and serve as a great way to add pops of color!